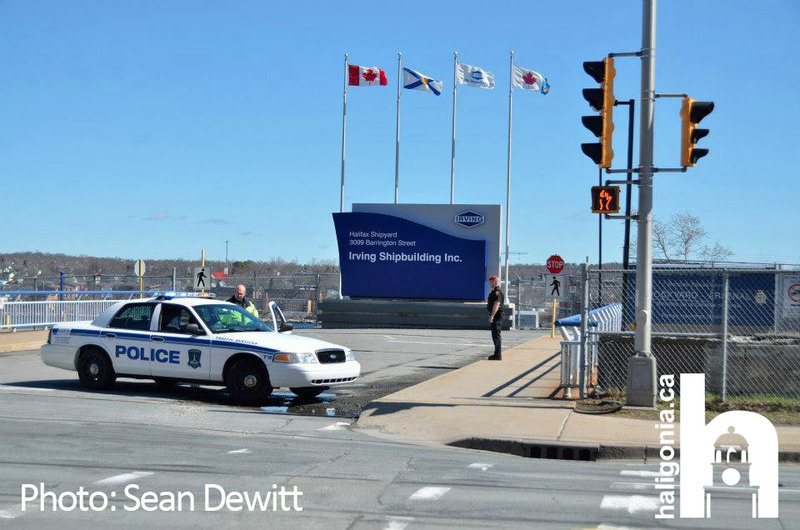 Police blocked off all entrances to the Halifax Shipyards and DND over lunch hour today. A bomb threat was reportedly phoned in to 911. No other details are available, but the entire facility was shut down for well over an hour.